Our own Doughdish, Windfall, is kicking off a “World Tour” this Spring. To begin, we will travel to Palmetto Bluffs, South Carolina, April 4th - 6th. We will launch Windfall and she will be available for on-the-water test sails. Our goal is to encourage sailors of all ages and skill levels to experience this classic Herreshoff design in their home waters. As we approach the event dates, we will solidify timing and details. Stay tuned to our webpage and our Facebook page for the most up-to-date information. To add your harbor to our trip, contact Amy Ballentine by phone (508-527-9797) or click here to contact her via e-mail. In the Fall of 1914, members of the Beverly Yacht Club asked famed designer Nathanael Herreshoff to develop a new class of sailboat for their children. The boat was to be well-suited for sail training on the rough waters of Buzzards Bay and be easily handled, yet capable in an afternoon Sou’wester. The sloop N.G. Herreshoff produced not only fit the club's requirements then, but has remained a foundation throughout New England’s sailing community. 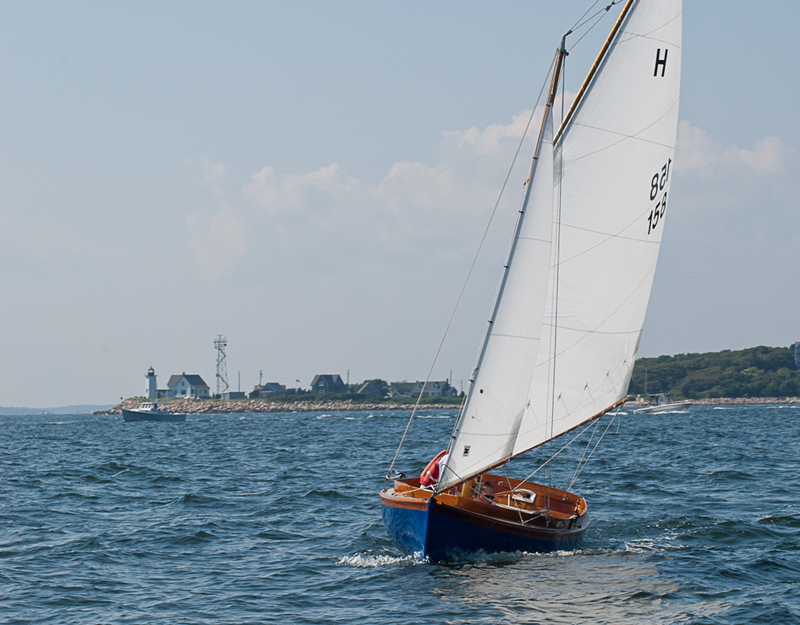 The Buzzards Bay Class became known as the Herreshoff 12½ and the first 19 boats were delivered in 1915. Fleets spread throughout the East Coast and racing continued through the early 1970s but, by this time, many of the original boats were in need of major repair or restoration. In 1973, William Harding — a longtime Herreshoff 12½ owner, accomplished competitor, and sailmaker — recognized the need for a more economical alternative to costly restorations. In the hope of continuing the class, Harding earnestly replicated the wooden hulls in fiberglass with exacting standards in hull shape, weight, balance and sailing characteristics. After a season or two of trials, the new model, coined the Doughdish, was found to be an excellent match to her wooden sisters with competition results proving her equality. The Doughdish endures as the only H Class-endorsed, true and authentic replication of N.G. Herreshoff’s iconic 12½. At Doughdish LLC we have built more than 540 of these fiberglass and teak sloops, now sailing from ports around the globe.